How To Care For Your Amaryllis Bulbs So They Flower Again Next Year! 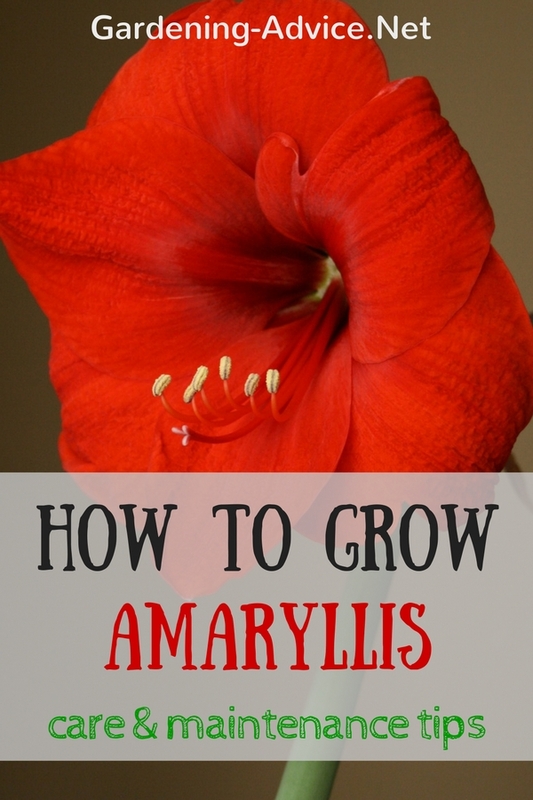 Learn all about Amaryllis care to grow the most beautiful flower. 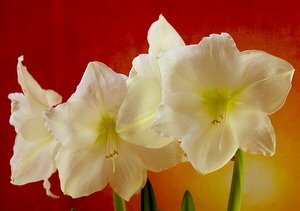 Growing Amaryllis bulbs as houseplants is very easy and many people enjoy these beautiful plants for the Christmas season. 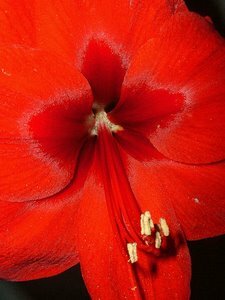 Here are some tips on propagation, forcing the bulbs and how to grow Amaryllis results so it will flower again the following year. The care for these bulbs is not hard...but finding the exact origin of the Amaryllis flower (or Hippeastrum) has been very hard! Many believe that a young German doctor, Eduard Frederich Poepping, found the flower in 1828 in Chile while looking for new plants. 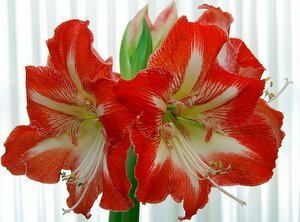 The Dutch have spent centuries working and breeding new Amaryllis varieties with colorful large flowers. Scientists have developed some eye-catching striped varieties and large very showy pink or white flowers.They really put on a great show and brighten up the dull winter months indoors with their beautiful flowers. Purchased bulbs should be the biggest, firmest, plumpest bulbs you can find. They should contain no soft spots, no mold and no scent, as they will produce better flowers. If not planting immediately store the bulb in a dark, cool, dry place such as the refrigerator. When ready trim dead roots and remove dry outer layers. Then soak the bulb in lukewarm water for about six hours. To plant the bulb as a house plant you should choose a clay pot that is 2 inches wider than the bulb. Plant the bulb in a nutritious well-drained potting compost of equal parts loam, sand and organic matter leaving about one-third of the bulb exposed. Firm the compost around the bulb and water to settle the soil around the bulb. Don't water again until the leaves start to grow. Place the container in a cool but bright spot. 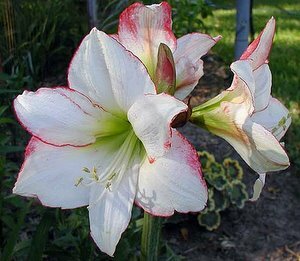 The amaryllis plant should flower within 6-8 weeks from setting the bulb. Amaryllis care after spouting requires removing it from any heat source and rotating the pot weekly while watering very sparingly. Bulb rot is a common problem if you keep the plant too wet. Let the flower stem wither till it has gone yellow. Cut it off about two inches away from the bulb. Now it is time to water and feed your plant regularly to encourage strong growth. Reduce the watering and feeding in late summer. The leaves should start to go yellow. 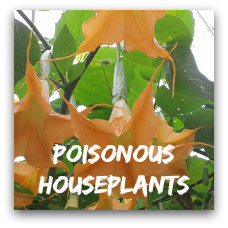 Once the foliage has withered away stop watering and store the plant in a cool place. Before you start forcing Amaryllis bulbs in the spring remove the plant carefully from its pot. Shake off some of the compost without damaging the root system. Repot the bulb with fresh potting soil. Water the plant and bring it into a warmer and bright spot. 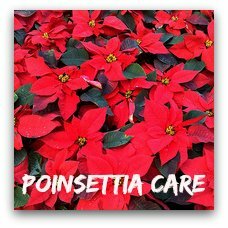 With proper care, you will get beautiful flowers, tropical bell shaped blossoms that are usually about 3 inches long and vary in color from crimson-red to pink and white. 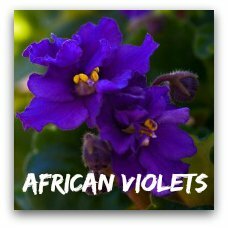 Some varieties have a wonderful fragrance. If you are going to plant the amaryllis bulb outside, you should plant it so that it is only half way in the ground. 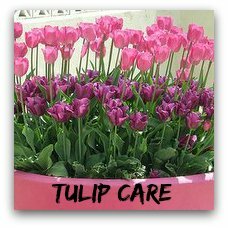 Temperatures should be over 65 degrees F and they should be planted in a well-drained area with direct sunlight. Apply a balanced liquid fertilizer and reapply it about every ten days. 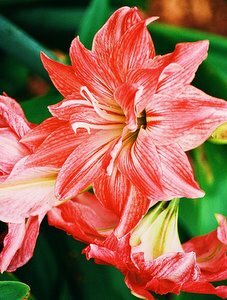 Amaryllis can be propagated from seeds, offsets or cuttage. To propagate from seeds do so 4 weeks after the seedpod has formed. Allow the seeds to dry for a few days and then plant them in a partially shaded area that is well drained. When the seeds germinate, they need more light. To propagate from offsets look for bulbs growing along side the main bulb in the fall. Replant those bulbs that are half the size of the mother bulb immediately. To propagate from cuttage during the summer, cut the bulbs vertically into at least four pieces, making sure each cut part has at least two parts connected to the basal plate. Apply a fungicide dust to the pieces and plant them base down so that at least a third of the bulb is above ground. At this time, you need to transplant them into small pots. The plant will not bloom for two to three years. These are lovely plants, requiring very little in the way of care, as long as you remember not to overwater, and to plant the bulb with at least 1/3 of the bulb showing while doing your amaryllis care. Then sit back and enjoy the splendid flowers. More related pages for you..